When you hit the brakes, you expect to stop. That's why brake maintenance on your vehicle should never be ignored. The health of your brakes can ensure the safety of you and your passengers. When brakes are applied, several parts must work together to allow your vehicle to stop. If just one part malfunctions, it could mean trouble for you. At the first sign of a possible problem, it's best to have your brakes inspected by a professional. Before harsh seasons, like winter or summer, it's important to inspect your brakes for wear. New cars typically require brake service after about 30,000 miles. Extreme weather conditions can alter your brakes' performance, so ensuring they are in proper condition is important to your car and your safety. 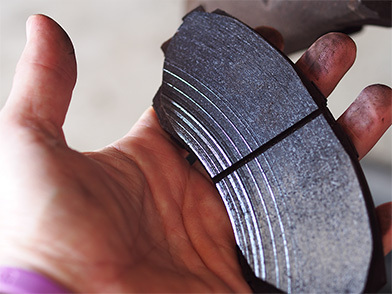 Although some brake jobs can be done at home, most brake repairs should be left to a certified technician to complete. If you have any questions or think you may need a brake repair, stop by Gettel Hyundai of Sarasota at 3500 Bee Ridge Road, Sarasota, FL 34239 for a test-drive. We look forward to seeing our customers from Sarasota, FL, and throughout Venice and Port Charlotte!